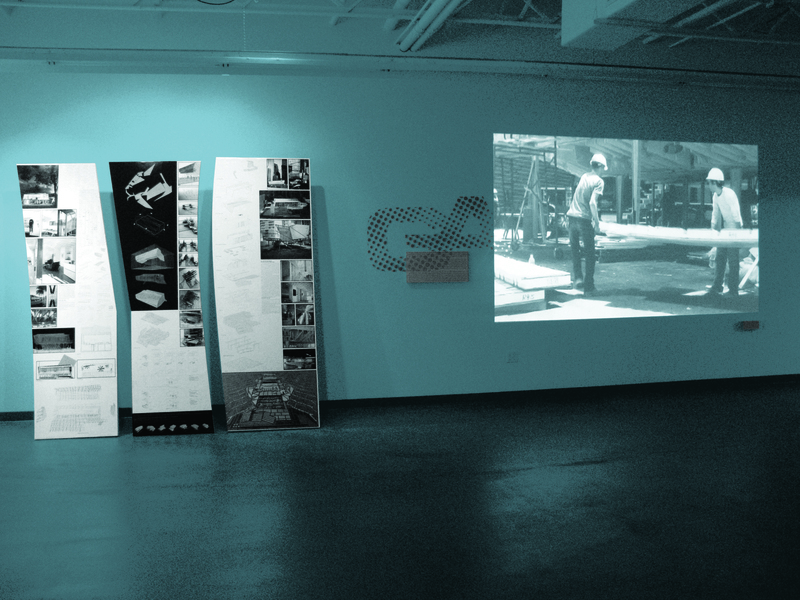 GAworks was one of three inaugural exhibitions in the new Orlando City Lab space, a joint University of Florida and University of South Florida architecture and digital exploration lab and gallery facility. 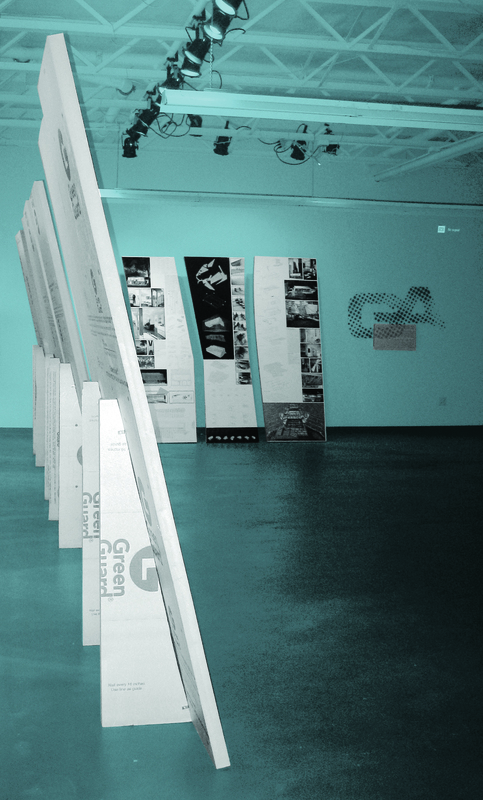 GAwork was a show of recent office projects incorporated onto digitally designed and cut structural foam. 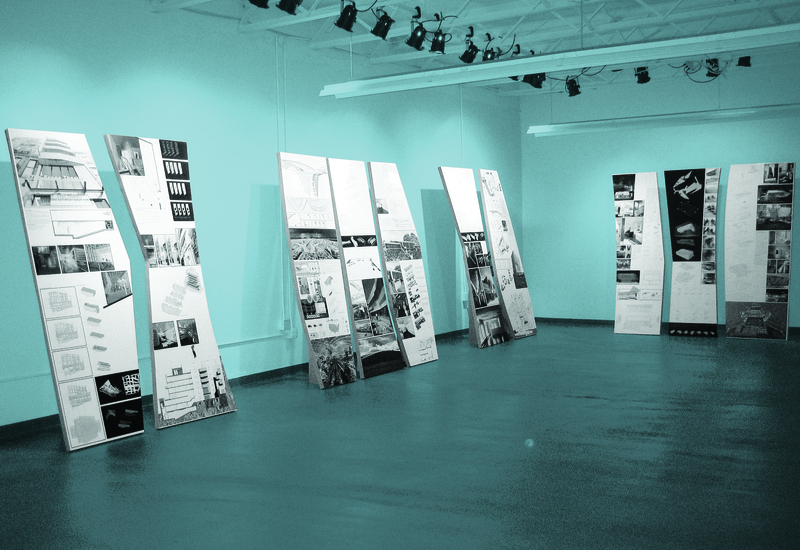 These foam supports were as much a part of the exhibition as the project boards laying on them. 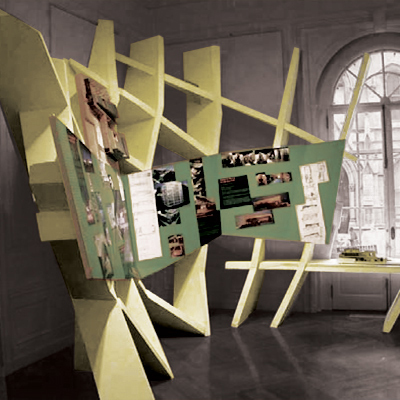 The self-supporting foam boards lined the perimeter of the space creating a secondary wall and viewing space, and a push-and-pull with the actual gallery walls which was intentionally broken with the projection of a BURST*008 video on the gallery wall.